One hundred feet of Nickel Chromium wire to make your own model rocket igniters. This resistance wire is used as bridgewire when making igniters. Good choice for general rocket motor ignition, clusters, and even MicroMaxx motors. For MicroMaxx, simply use this wire as the igniter, no lead wire needed. Wire is spooled onto a tube to avoid tangling, and for easy storage. Testing has shown that igniters made with these wires work fine with Estes and Quest launch controllers. However, a 12V launch system is recommended, especially for clustering. 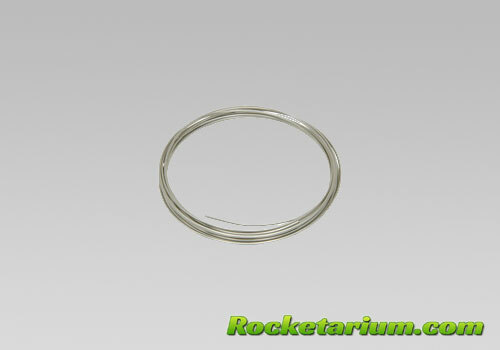 The Nichrome wire does not include pyrogen, needed to make igniters for hobby rocketry.